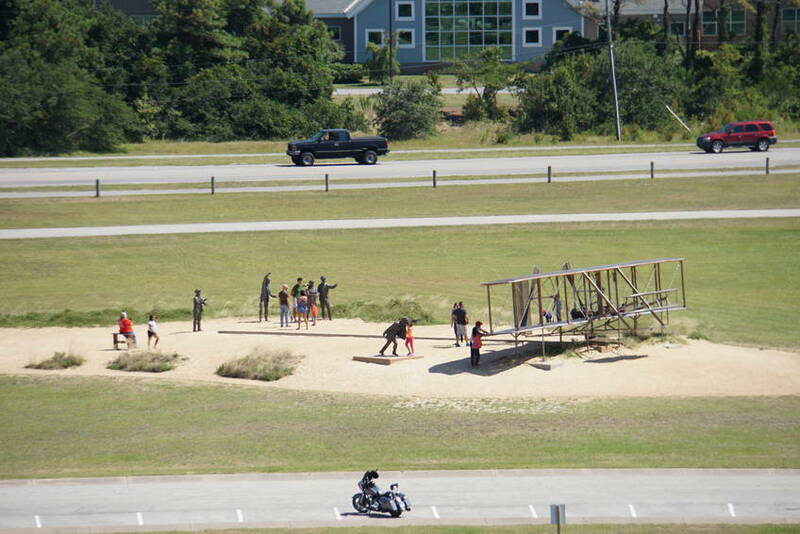 What a glorious sunny day to visit the beaches and Kitty Hawk. From where we were staying at Cape Hatteras to Kitty Hawk was 62 miles. The beaches and the sand dunes were amazing. If you stood on top of a sand dune you can see the Atlantic Ocean on one side and the Pamlico Sound on the other. The Sound is shallow near the beach one could walk 200 feet and still not be waist deep in the water. We took our time driving up the coast. We also checked out parks and campgrounds for future trips. When I saw the flag of confusion I had to remember that I was in the South and people wanted you know how they were feeling. 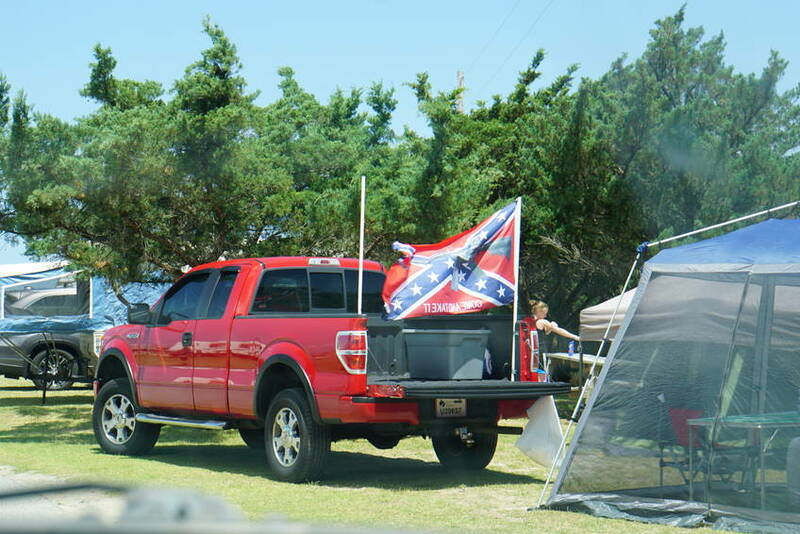 Luckily, they were not in our campground. 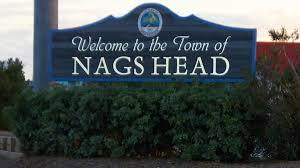 We finally found the city of Nags Head. Yep. It is definitely a resort town with great housing and beaches. On the ocean side the Riptides are so bad NO swimming is allowed. The lifeguards are very serious about this. I saw a lifeguard really get on a parent for letting their child stand at the edge in the water. 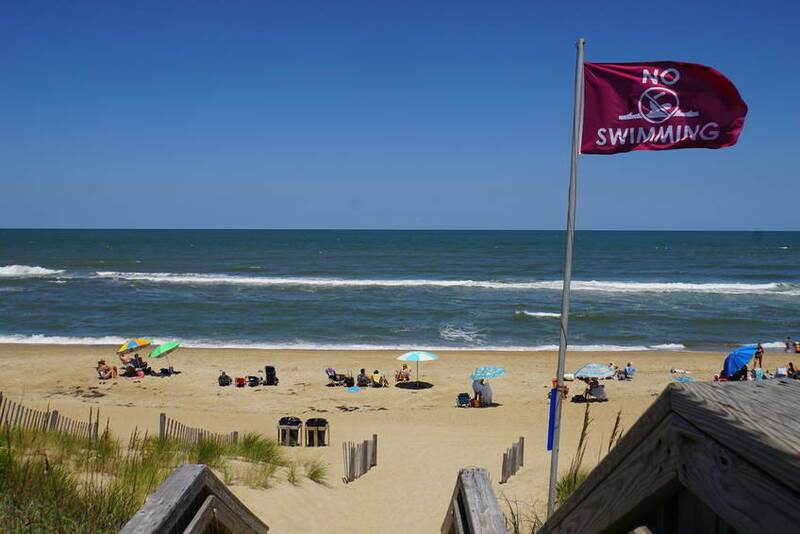 5 people had died this summer because of the riptide. Did you know that if you get caught in a riptide you should not fight it? Yep. You are to let it take you out to the first wave then swim parallel the beach until you pass the riptide area, then swim to the beach. Good info to know and obey. 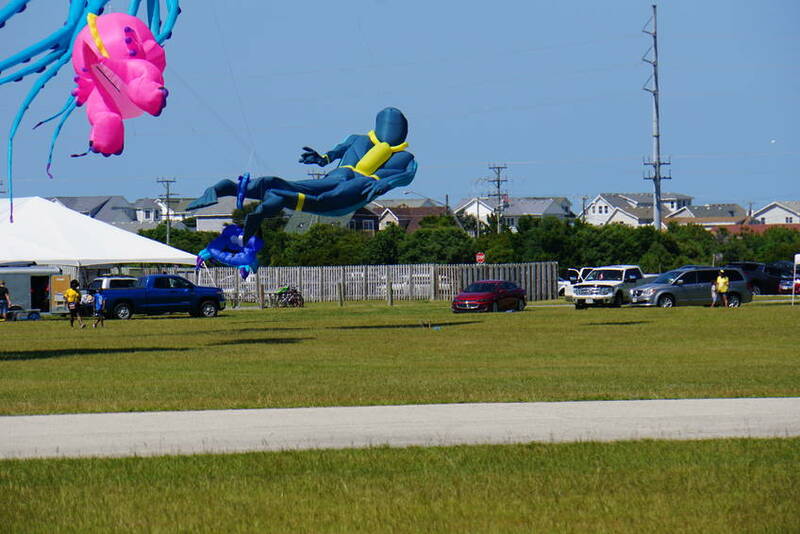 We arrive at Kitty Hawk to a Kite Festival. 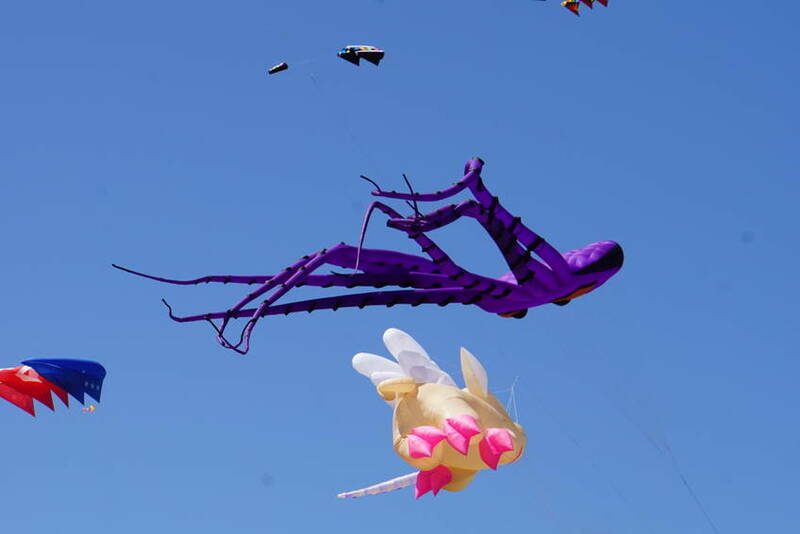 It was fun to see all the different types of kites flying. 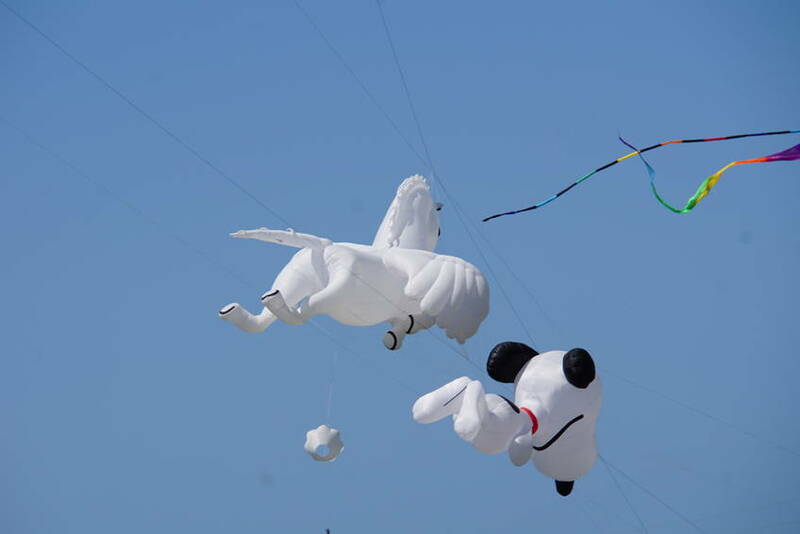 Anyone could bring their kite and fly it. 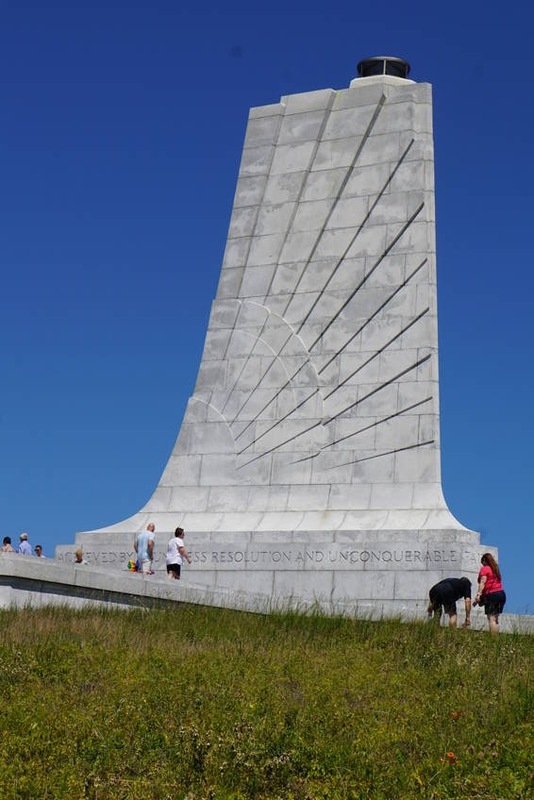 The Wright Brothers National Memorial at Kitty Hawk is very impressive sitting on the very hill that started flight. 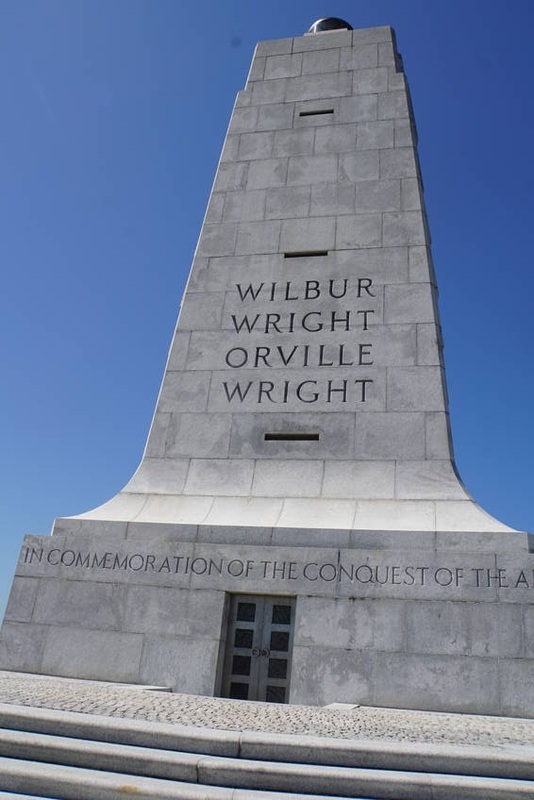 When Wilbur and Orville came to Kitty Hawk that hill was a large sand dune that they drudge up with their glider thousands of time. Ø Wilbur was born in Indiana, Orville in Ohio. Ø Father, Milton Wright, was a bishop in the Church of the United Brethren in Christ. He was a circuit pastor and brought home a toy Penaud helicopter that changed the world. Ø Neither brother received a high school diploma. However, they were well educated. Ø Mother, Susan was very mechanical. She designed and built simple appliances for herself and made toy for her children. Ø Wilbur suffered from depression. Ø Owned a bike shop in Dayton, OH. Ø Followed in the footsteps of Otto Lilienthal. He was the first true glider pilot. Ø Octave Chanute. He encouraged the Wrights. They used his biplane glider design. 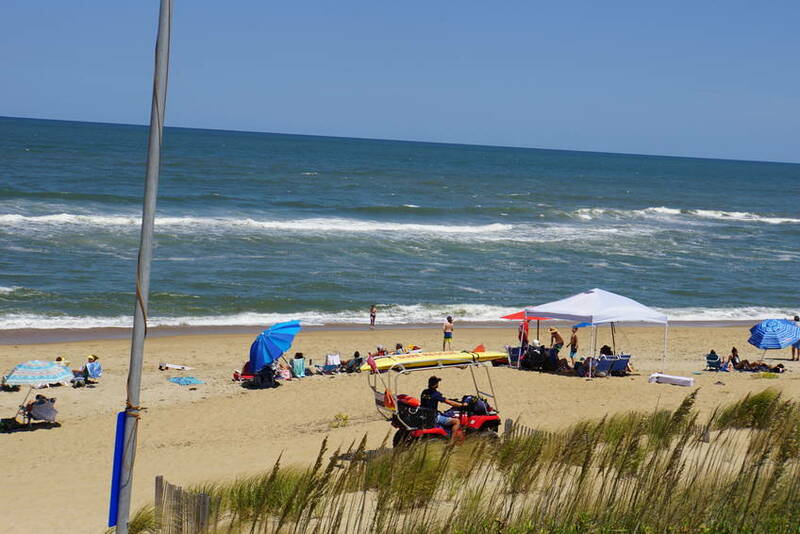 Ø They selected the beach at Kitty Hawk as their proving ground because of the constant wind that added lift to their craft. In 1902 they came to the beach with their glider and made more than 700 successful flights. Ø Brothers tossed a coin to see who would take the first flight. Wilbur won but was not successful the first time out. 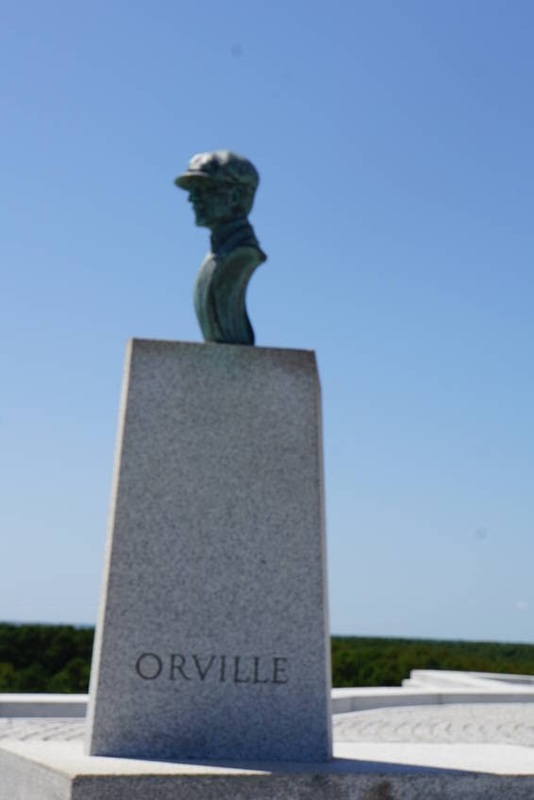 Ø Orville Wright piloted the first powered airplane flight that flew 120 feet lasting 12 seconds over sand dunes at Kill Devil Hills. Ø Lieutenant Thomas Selfridge was the first person to die in a plane crash. He was with Orville when they lost the propeller. 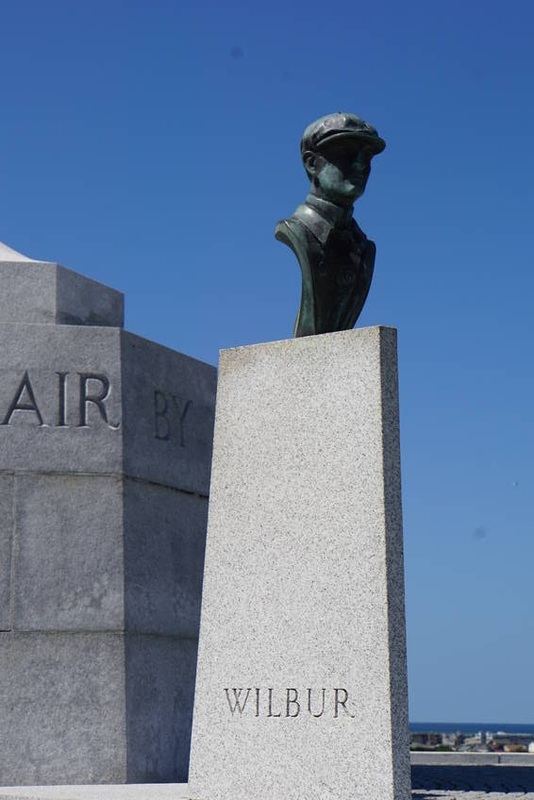 Ø The Wright Brothers only flew together once (though both piloted the planes individually): on May 25, 1910 they took a six-minute flight piloted by Orville with Wilbur as his passenger. Ø Neil Armstrong carried a piece of the Wright Flyer with him to the moon. 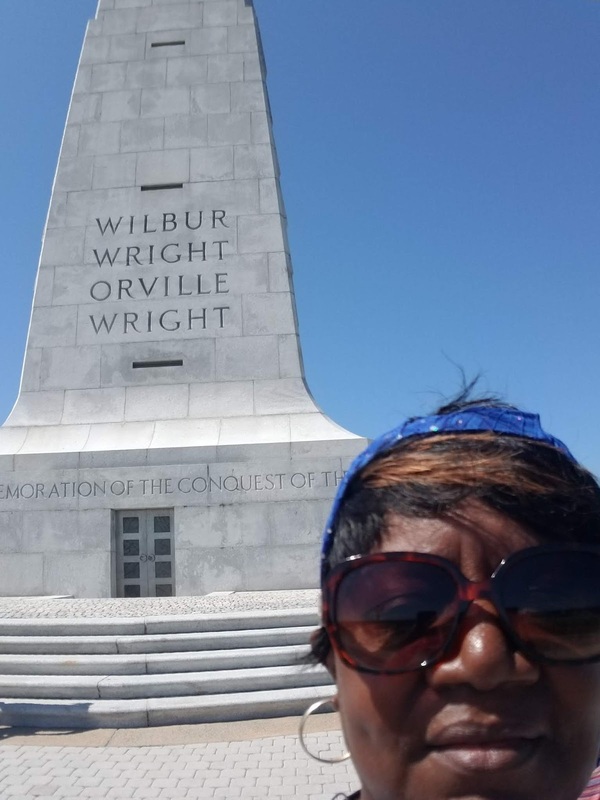 The ranger Marlee who gave us an informative talk about the Wright Brother had a connection to them. Her Great, Great, Great Uncle is the person who took the now famous picture. The funny things is he did not even know how to take pictures. He was one of the crew to help get the glider up the hill. 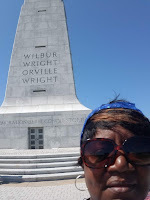 Check out the Wright Brothers when you have time. We left Kitty Hawk at the end of the day and headed come to Manteo and Roanoke Island. We toured both and returned for a peaceful night. Hahahahahah, the "flag of confusion!!!!" I love that. Folks ARE confused, indeed. I love that Roanoke has a pirate-y looking boat! Very cool.